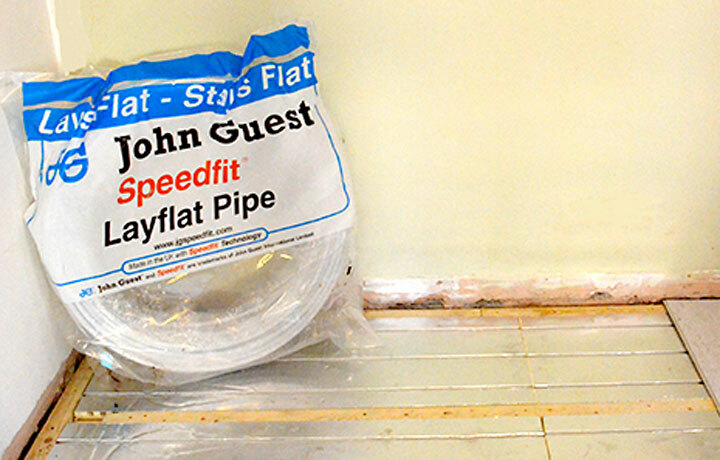 Taunton home extension specifies JG Speedfit PB-1 underfloor piping. 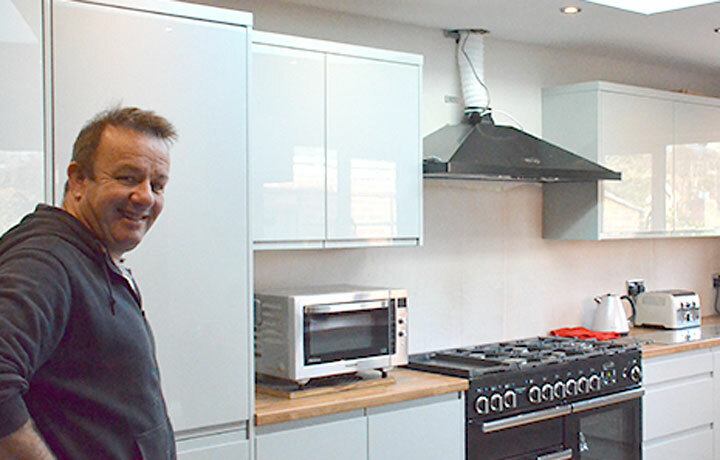 The homeowner was looking to enhance the downstairs living space of her 3-bedroom semi-detached house in Taunton, Somerset, with the addition of an extended kitchen/diner area. The new extension – measuring 30 square meters, required an energy-efficient heating solution that would create a warm and inviting environment without compromising the interior design space. JG Speedfit’s Overfit solution, incorporating Layflat pipe made from Polybutene-1, delivers ultimate comfort without compromising style. "I wanted to create a warm and inviting space and that’s exactly what I got with Speedfit UFH and PB-1 Layflat pipe." 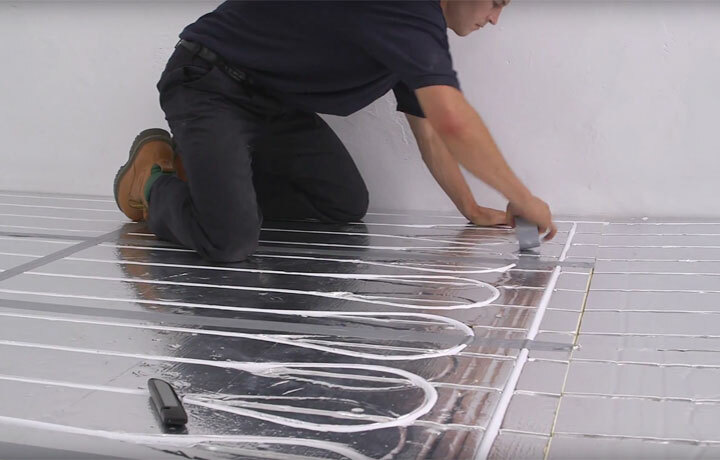 Following an onsite consultation with PBPSA member JG Speedfit, the homeowner decided that Speedfit’s Underfloor Heating system using Polybutene-1 Layflat pipe and JG Aura controls offered the best solution. 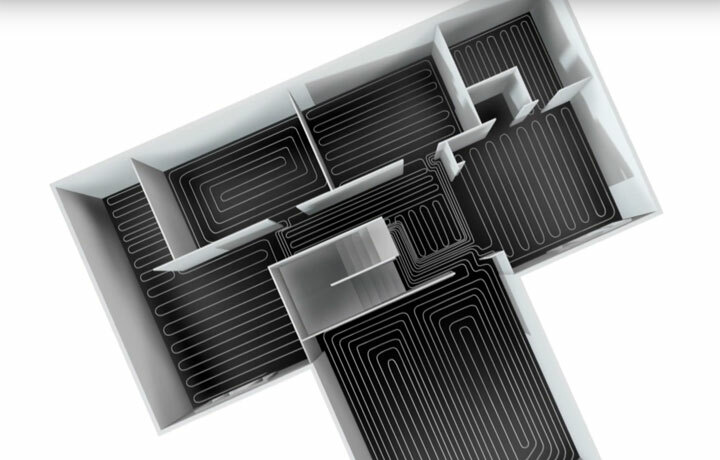 With its unique 4-in-1 thermostat, the JG Aura heating controls could be programmed to only heat the room when in use to the desired temperature, delivering considerable cost and energy savings without compromising comfort. 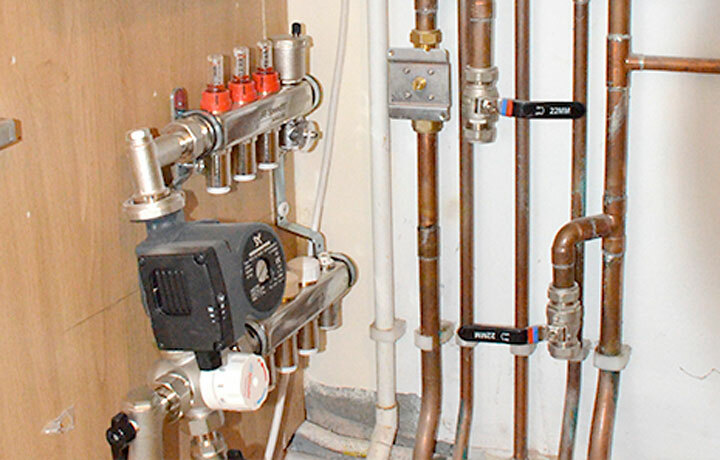 By concealing the underfloor heating PB-1 pipe circuits under the tiles, the homeowner also has complete design freedom to place storage units and furniture anywhere in the room. With the new extension connecting directly to the living room, an underfloor heating solution was required to create a level join connection between the rooms. Durability was also essential due to the high level of traffic passing through the area on a daily basis. Due to its lightweight insulated panel technology and high compressive strength, Speedfit specified the use of its Overfit panels which withstand high levels of traffic as well as creating a seamless join between the floor in the new and existing room. Although the panels already have high compressive strength, battens were placed between the boards to create an even more robust platform. Before laying the PB-1 Layflat Pipe the manifold was fitted centrally to the system to reduce the flow and return distance. 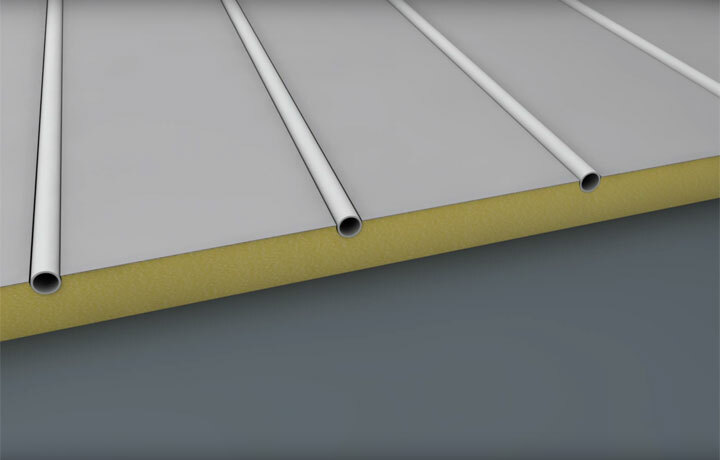 Using the pre-grooved channels, 15mm pipe was inserted at 150mm centres to create a highly responsive system. A heavy, tongue and grooved backer board was then laid and glued along the joints for extra security. This provided a heavy-duty surface suitable for the tiling with good heat transferring properties. The finishing touch to complete the UFH solution was to fit the JG Aura 230v Thermostat to allow for the quick manipulation of the circuit in terms of time and temperature. With its stylish slimline design, the JG Aura Heating Control blends perfectly with the ultra modern kitchen design.